I am super late posting about this, but better late than never! At the end of September, I participated in the Arkansas Valley Women's Expo in La Junta, Colorado. It was a wonderful place for women in the community to gather, network, and support one another. This post is a bit personal, but my hope is that this will tell you more about who I am and explain why I am inspired to create. I would like to share with you all a couple of playlists that inspire my creative process. Music has played an important role in my life-it has brought me joy, creativity, and has influenced who I am as a person. Every day I find patterns, designs, and shapes that I like and am inspired by. I try to take pictures or save them somehow to put on my inspiration board. 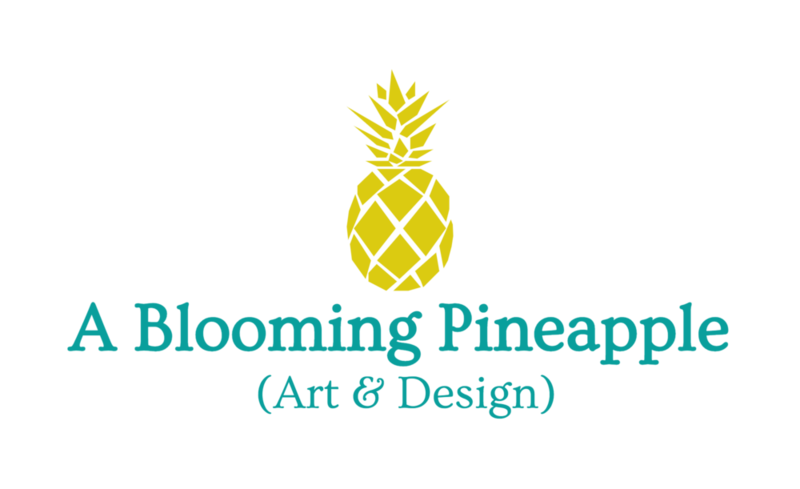 Jul 5 Why A Blooming Pineapple? I have always struggled with self-doubt, lack of confidence, and anxiety. To make a long story short, these issues have escalated in recent years due to a back injury, becoming burnt out at my job, and letting go of any creative outlet I once had.